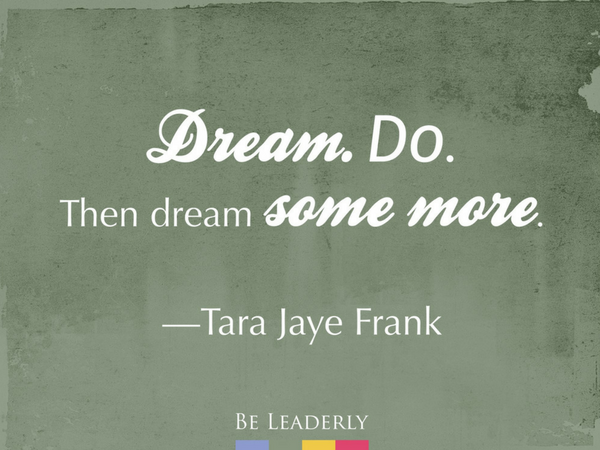 Leaderly Quote: Dream. Do. Dream. “Don’t let a dream become a fantasy, which is what happens when you never act upon it. You have to DO something. Take a step forward, even if it’s a small step. Dream. Do. Then dream some more. — Leadership author and speaker Tara Jaye Frank in her article Leadership Gems: What I Know For Sure.